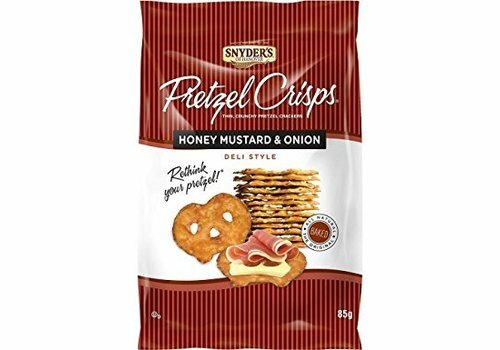 Crispy pretzels with honey mustard onion flavour. 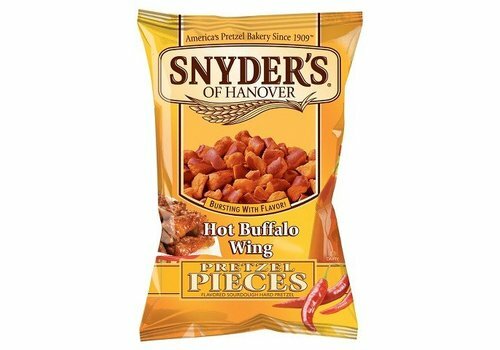 Pretzel Pieces, each a solid bite! 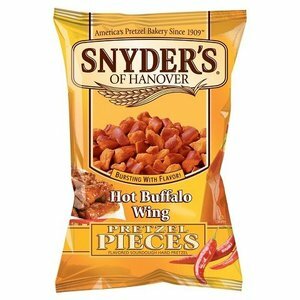 A snack based on desem (dough of flour and water), broken into pieces and richly seasoned. 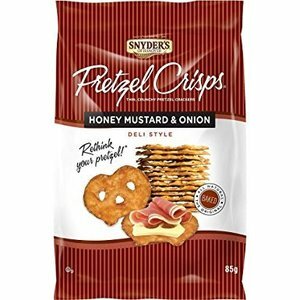 Pretzel Pieces, each a solid bite! A snack based on desem (dough of flour and water), broken into pieces and richly seasoned. In the taste Cheddar cheese.